The Board dismissed this opposition to registration of the mark IN & OUT CAR WASH for car washing services (CAR WASH disclaimed), finding it not likely to cause confusion with or to dilute Opposer's registered marks IN & OUT for vehicle repair and painting services and IN -N-OUT BURGERS for restaurant services. Opposer failed to prove that its restaurant marks were famous for Section 2(d) purposes, and failed to establish that its repair and painting services were related to Applicant's car wash services. As to dilution, Opposer could not meet the lower Section 2(d) standard for fame, let alone the higher Section 43(c) standard. In-N-Out Burgers v. Fast Lane Car Wash & Lube, L.L.C., Opposition No. 91183888 (March 14, 2013) [not precedential]. Opposer claimed use of its mark since 1948, registering the mark first in 1978 and subsequently, in various forms. At the time of trial, Opposer operated 262 restaurants, exclusively in the states of California, Nevada, Utah, Arizona, and Texas. In 2009, Opposer acquired a registration for the mark IN & OUT for motor vehicle body repairing and painting. Applicant Fast Lane began using the IN & OUT CAR WASH mark in April 2005, and owns two car wash facilities, in Joplin and Springfield, Missouri. Although its service may include "rubbing some scratches off a car's painted surface," it does not repair scratches, remove dents, repair windshields, or touch up paint. Until 2008, it provided lube services, such as oil changes, fluid checks, etc. Likelihood of Confusion: The Board focused on the mark of Opposer that is most similar to Fast Lane's mark IN & OUT CAR WASH: the registration of IN & OUT for car repair and painting services, reasoning that if likelihood of confusion is found vis-a-vis this mark, then the other marks of Opposer need not be considered; if likelihood of confusion is not found, the Board would also not find confusion as to the marks of the other pleaded registrations. Opposer claimed that its IN-N-OUT marks are famous for restaurant services and menu items. The Board, however, concluded that, although Opposer's restaurant and food marks "are strong and have gained notoriety for its restaurant services and menu items," they are not "famous" for Section 2(d) purposes. Opposer's evidence of sales was unspecific and indicated that the sales are made "to a limited market share of the consuming public in the United States." Its advertising was geared to specific store locations, and its proof of media attention failed to establish the level of recognition of its marks. "While opposer undoubtedly enjoys a devoted following and business success, at least within its areas of operation, it has not clearly shown a level of recognition for its mark which would justify the heightened scope of protection afforded truly famous marks." As to the inherent distinctiveness of the subject marks, the Board found them to be suggestive because that convey a message about the respective services: "the customer can drive 'in and out.'" Consequently, any similarity between the marks "is less likely to cause confusion than would be the case if the marks were arbitrary or fanciful." On the other hand, the evidence did not show widespread use of similar marks. Turning to the marks, the Board not surprisingly found "IN & OUT" to be the dominant portion of Applicant's Fast Lane's mark and identical to Opposer's mark. As to the relatedness of the services, Opposer relied on 24 third-party registrations and Internet evidence from 13 third-parties to show that car wash services originate from the same source as body repair and painting services. However, many of the registrations were not based on use in commerce, and were therefore not probative. That left 15 registrations owned by 14 different entities. The Board observed, however, that third-party registrations are of limited probative value on the issue of likelihood of confusion because they are "not evidence of what happens in the market place or that customers are familiar with them." Likewise, the Internet evidence was of limited value, because the webpage printouts cannot be used to prove the truth of what has been printed. Thus, the Internet evidence made of record by opposer does not prove that the five above-noted entities actually provide car washing and cleaning services as well as car repair and painting services, but simply that the third parties responsible for the Internet postings of record state that such services are available therefrom. Opposer's witness unhelpfully testified that the primary business of car wash is distinct from that of a paint and body shop, and washing would be incidental to repair or painting. Balancing the relevant du Pont factors, the Board ruled that Opposer had failed to prove a likelihood of confusion. Dilution: Because Opposer failed to prove its mark to be famous for Section 2(d) purposes, it could not possibly meet the higher standard for fame under Section 43(c). TTABlog comment: Why does this decision leave me with a bad taste in my mouth, feeling like Opposer got the shaft? Maybe because your gut reaction is that the term was adopted to trade off of the fame of the burger chain. Was it? I can't tell from opinion. What would have been the decision if two of the three judges were from southern California? It's because of the questionable provenance of the registration for car painting. It was acquired for purposes of litigation (fn4) and, looking at the website (http://www.autopaintingrus.com/), no one would think that the car painting service has any relationship to In & Out Burgers whatsoever, no similarity in trade dress, no arrow, no shared color scheme, nothing. It's a sham transaction for purposes of advantage in litigation only, and the Board wasn't going to ratify the behavior. And In & Out Burgers didn't have a prayer on confusion between burgers and car washing for a weak, suggestive formative like "in & out." Anyone living in LA would reach the opposite result. And I find JW's comment rather cheesy. The Opposer got fried and the Board has taken a big bite out of its rights. I agree, that if this hearing had been held somewhere west of the Mississippi, the result would likely have been different. Opposer appears to be aggressive in filing Oppositions and USDC cases. A bit like MLB and Monster. With such a weak mark I hope they are making a lot of money so they can afford to go after the many users of the descriptive phrase all over the US. They had to buy a trademark to even have a chance in this case. While that is perfectly legit, what restaurant is really going to operate a car repair business? I think the Board got this one TOTALLY right. No one here in California is going to confuse a restaurant/car repair service with car wash. This case started in 2008. The Board appears to have taken almost a year and half to issue a decision. The motions and filings on the docket also make it appear Opposer may have made this case difficult for Applicant. 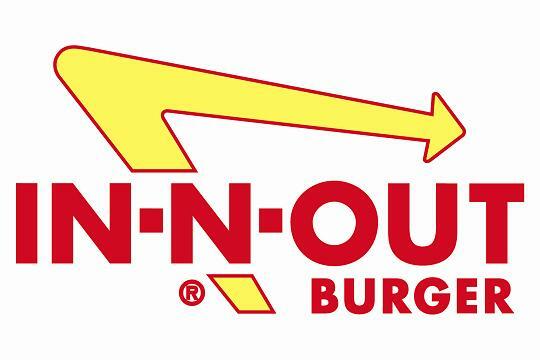 In & Out (INO) once went after one of my clients -- also an In & Out Car Wash -- claiming dilution. This was despite the fact that the car wash had been around for 18 years and INO had only been in Nevada for 6 months. INO's lawyers sent a draft complaint full of inaccuracies and said they would sue if my client didn't change its name. The client didn't have the money to fight even though the facts were clearly on its side. The settlement we signed specifically allowed my client and me to discuss the case publicly and I have referred to INO as Bully Burger ever since.